It all started in Japan, 1994. Quick Response (QR) codes were created by Toyota subsidiary Denso Wave Inc. for tracking vehicle parts. These two-dimensional bar codes are more useful than standard barcodes as they can store (and digitally present) much more data - thousands of alphanumeric charters of information, including url links, geo coordinates, and text. The code spread as more than just an inventory tool. When you scan a QR code with your mobile devise, you can save information to that devise (like contact information) or access various portals on the web. 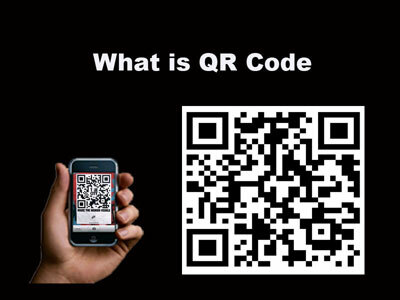 Today, QR codes connect people with each other and content in a very efficient way. Many marketers are including QR codes in their marketing mix. They are increasing in importance as they provide a direct link between a consumer’s mobile phone and your company’s marketing message (e.g. your contact info, a sales message, a coupon offer, etc.) – more instant access to disseminate information that can lead to increased revenues. According to a study by comScore, a leader in measuring digital work, in June of this year, 14 million Americans scanned QR codes on their mobile phones, that’s 6.2 percent of the total mobile users. “For marketers, understanding which consumer segments scan QR codes, the source and location of these scans, and the resulting information delivered, is crucial in developing and deploying campaigns that successfully utilize QR codes to further brand engagement,” stated Mark Donovan, comScore senior vice president. Studies have shown a younger, affluent audience, but the age range is expanding. Current trends of use are younger crowds (25-34), but those in the 35-44 age range are gaining momentum. Trends also show males and those who make more than $100k are more likely to scan a QR code. As QR codes are still considered a new technology, there are a considerable number of consumers who are unaware of the QR code technology. Some education may be needed with your target groups if you are going to use this as part of your marketing mix. The future of QR codes is limitless. Innovative brands can embed videos, websites and more to build out the contact a client has with their brand. Approximately 22% of Fortune 50 companies are using a QR code to impact consumers. As you evaluate this new trend, determine how and if it fits into your overall strategy (marketing mix, channel marketing initiatives, and appropriate for the demographics of your target consumers). The next generation of barcodes will hold even more information – so much that an Internet connection may not even be necessary to access - as the content will be effectively embed in the code. 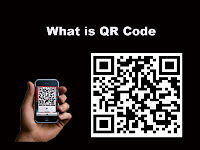 For examples of companies using QR codes, visit socialwayne.com. For insights into QR codes use in Europe, visit comScore Data Mine. If you do not have a reader on your Smartphone, visit Jumpscan.